Your feet are the origin of much of your backache and back pain. Now that you’re grown up, chances are you suffer from backache, back pain or lower back pain – and your feet are at least partly to blame, just as that childhood song taught us. The average person takes as many as 8000 pounding steps everyday on hard surfaces. Each step generates a jarring force 50 percent greater than your body weight. We call it “step shock.” Unfortunately, the painful shock waves that start at your feet travel upward into your back. Step shock is one of the major causes of backache or back pain and lower back pain causes. Shock-absorbing insoles are often an overlooked remedy for backache and back pain. Shock-absorbing insoles limit the strain that your feet put on your back, helping to relieve back pain and lower back pain. Foot Shox insoles stop the impact of step shock at its source, preventing the painful shock waves from reaching your back and aggravating your backache. More than 65 million Americans experience backache, back pain and lower back pain every year. Four out of five adults will endure at least one bout of back pain or lower back pain at some point in their life. On the job, back pain is the number one ailment suffered by American workers. And lower back pain is the leading cause of disability between the ages of 19-45, according to the Medical Multimedia Group. Doctors list many causes of back pain. Stresses on the muscles and ligaments that support the spine are primary causes of back pain. Other causes of back pain include injuries, sedentary jobs and lifestyles, obesity, strenuous sports, lifting heavy objects incorrectly, poor posture and even sleeping on a sagging mattress. Physicians differentiate between back pain and lower back pain. Doctors describe lower back pain as sudden, sharp, persistent, or dull pain felt below the waist. The most common lower back pain causes are muscle strain associated with heavy physical work, lifting, bending or twisting, awkward positions, or standing in one position too long. Any of these movements can aggravate a prior or existing back disorder. Other lower back pain causes include spinal stenosis, arthritis, spinal infection, spinal tumors, spondylolisthesis, and vertebral fractures. 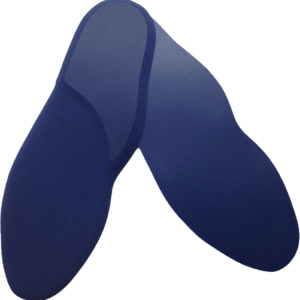 Foot Shox insoles relieve back pain and lower back pain better than any other insoles on the market. That’s because Foot Shox insoles are made entirely of LIQUID FILLED, the #1 material for shock absorbing insoles in the world. An independent lab rated LIQUID FILLED #1 for absorbing painful impact forces — superior to latex foam, gel, sponge rubber, neoprene, vinyl sponge or viscoelastic. The more shock absorption in your insoles, the less pain in your back.